Blast from the past appeared! Another game of Dune is taking signups. Twilight Imperium game 7Is taking signups, for anyone who didn't get into game 6 you have priority. Leftover spots are open to anyone. I signed up for Farangu's Dune game but RL issues have intruded and I can't commit to a board game right now. @Jakobagger has offered to step in, but wants to give other people a chance before he takes the spot. Jump in if you've always wanted to put the boots of justice to the upstart Atreides and their filthy Fremen buddies. Among others. To comment on Grimmy's post, if you're interested in stepping in, please shoot me a PM, and I'll fill you in. New players get preferential placement. Hey goobers, we now have dice rolling for your PbP needs. It's not going to totally replace orokos or IC, but it may help for smaller rolls. Just tell Geth what to roll and you're golden. Note that abusing the roll system will lead to horrible things happening to you. 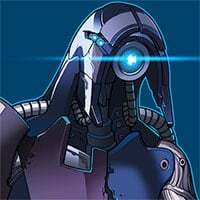 Finally we get to order Geth around! Who's the superior life form now? It's still you Geth. I'm sorry, don't murder me. I think you mean the Russians have a shot at a trifecta. Twilight Struggle Game 4 - Host Vs Host is starting. I didn't post it here yesterday, but I'm starting a PBP/IRC game using the Buffy/Angel Roleplaying game. One spot open for another Innsmouth Horror game! Alright, so Geth has assimilated Orokos roller. You can roll as many times as you like via the following command, but once you roll in a post it is forever locked in. Editing rolls/adding new ones won't do anything to change the result bit. Eclipse Phase PbP now accepting players! This game is rad. I'm rad. You should all play. What exactly is the format for geth rolls? We're trying to do multiple rolls in a game and it's calling me a fleshy meatbag full of errors. See this thread for testing and questions. Pandemic Game 8 has ended in a disease victory. Second Morrslieb GoC (Game 81) has finally ended with a Khorne Dial Victory for BoardGamer. A Game of Thrones: The Card Game #1 has ended with a victory for House Lannister, played by Iron Weasel. A Lannister always plays his decks. [Twilight Struggle] Game 5 - Stinkin' Commies/Capitalist Dogs! Tenra Bansho Zero: The Bloody Path of the Bride is now recruiting. Pandemic Game 10 has ended in the first player Mutation Variant victory! Starting a Vampire: The Masquerade PBP, Sabbat campaign. Twilight Struggle Game 3 has ended with the third consecutive Soviet Victory.